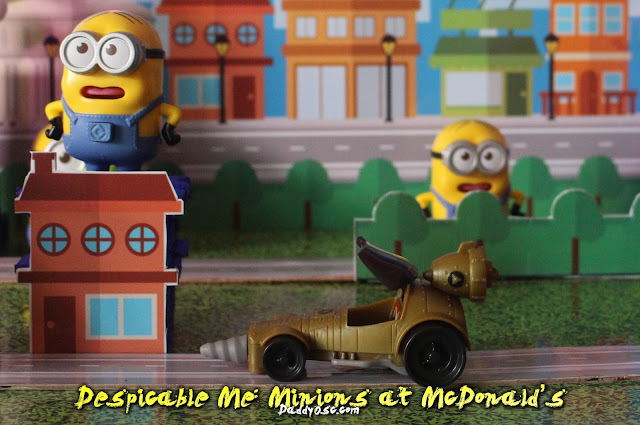 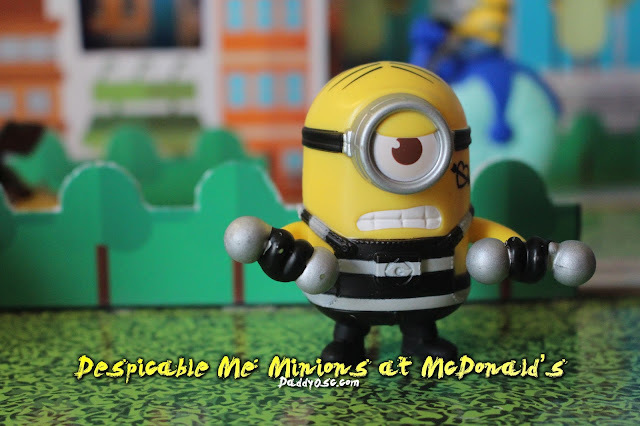 Minions Attack: Despicable Me 3 Happy Meal Toys | Daddy O! 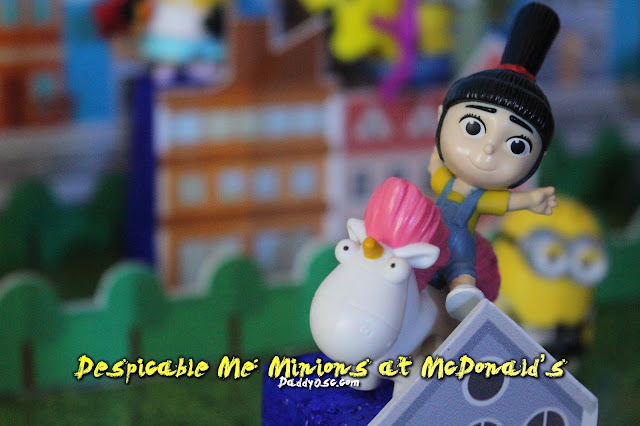 Go bananas with the Despicable Me 3-themed Happy Meal and Menu Items at McDonald’s! 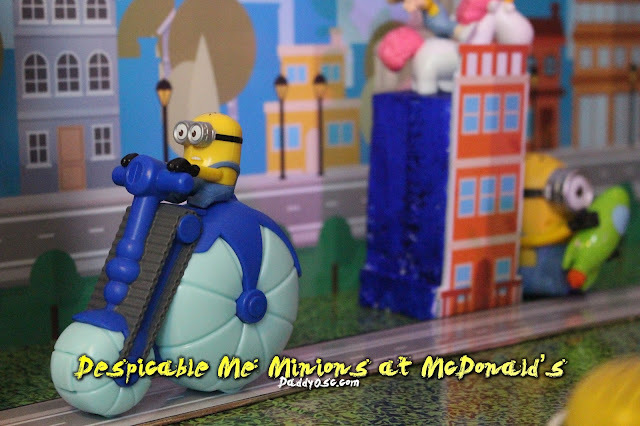 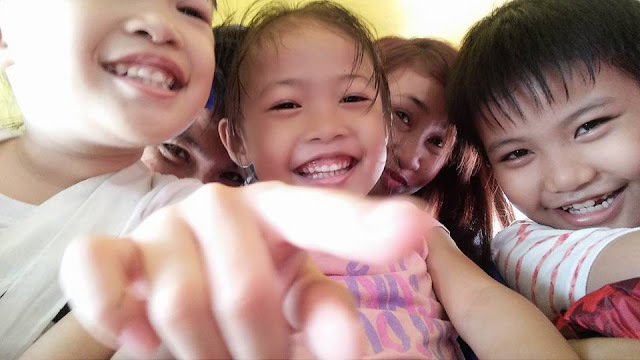 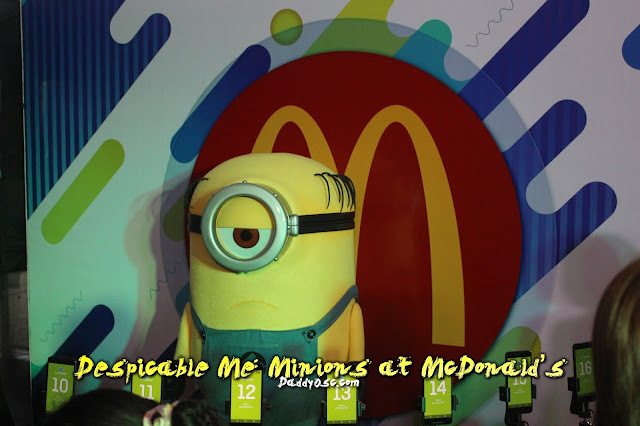 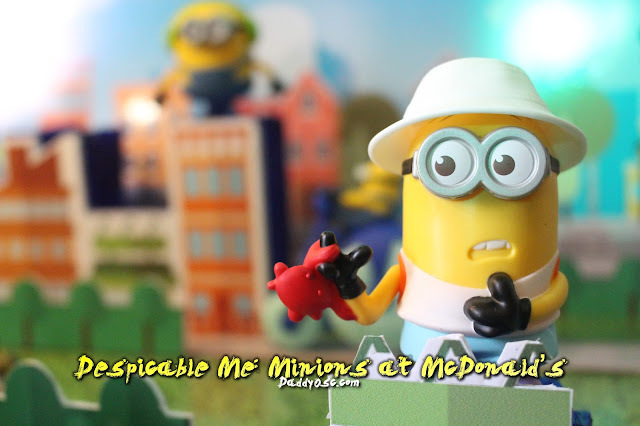 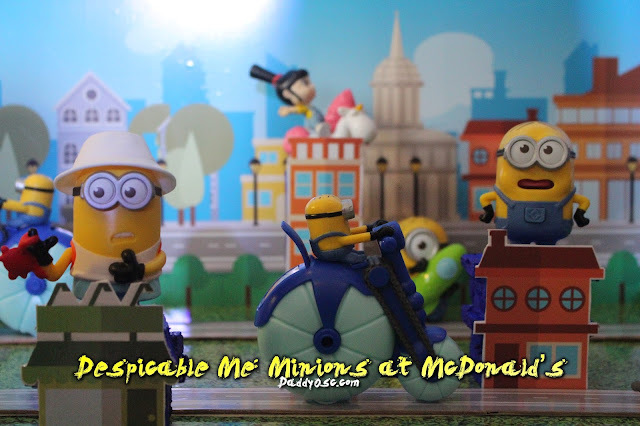 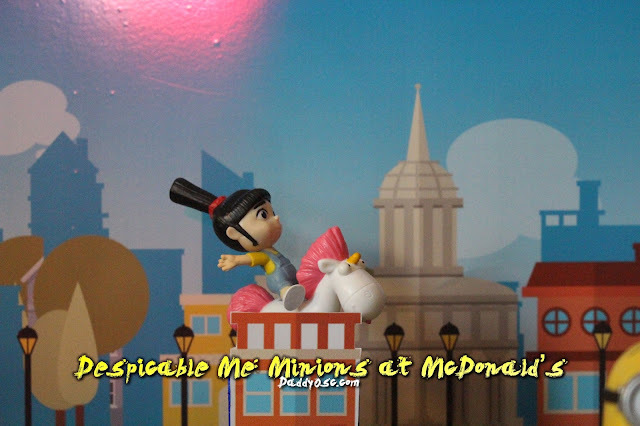 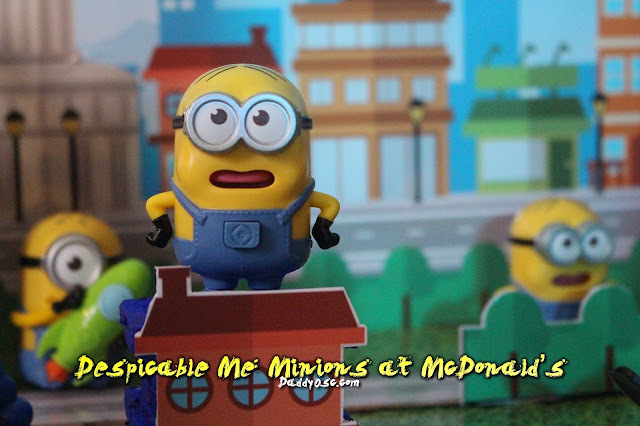 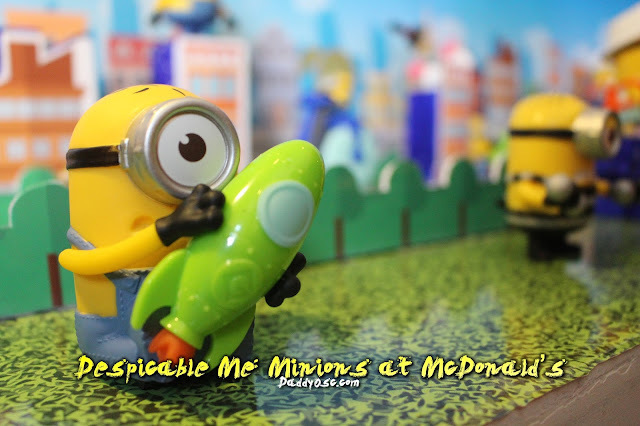 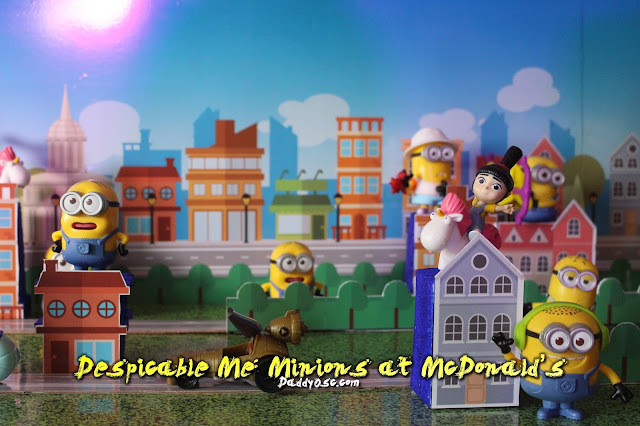 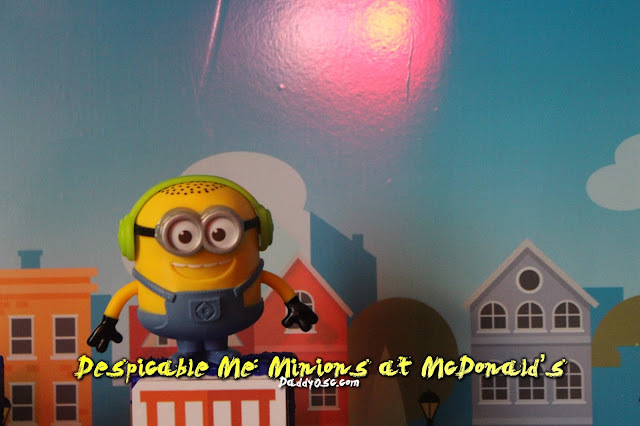 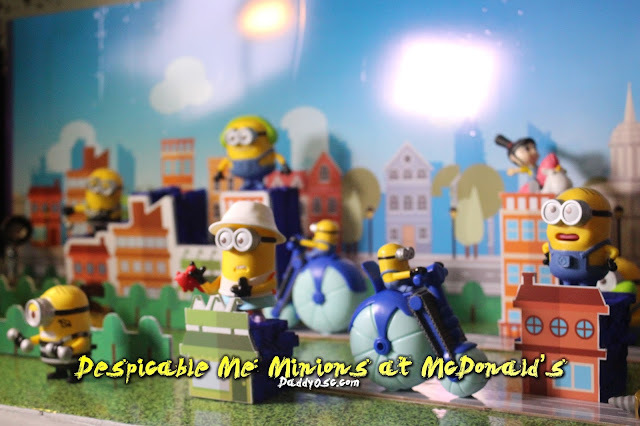 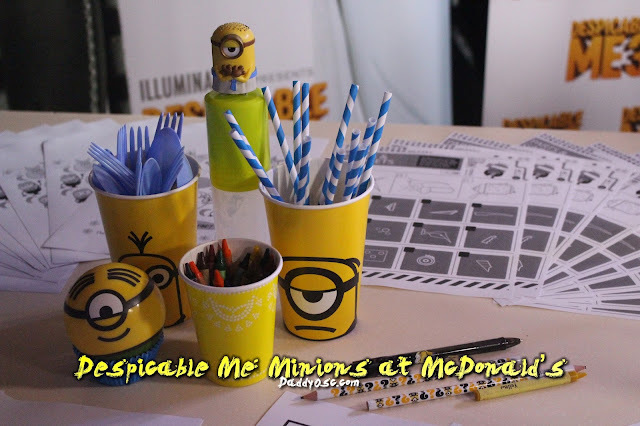 It’s Minions Mania time as the mischievous Minions take over McDonald’s. 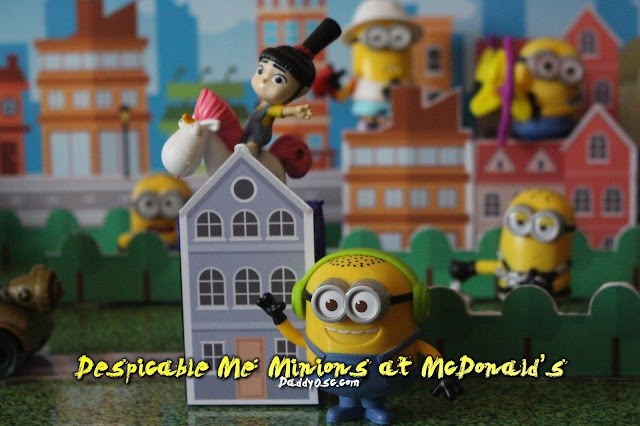 The lovable, silly characters from the Despicable Me movie franchise return for a limited time. 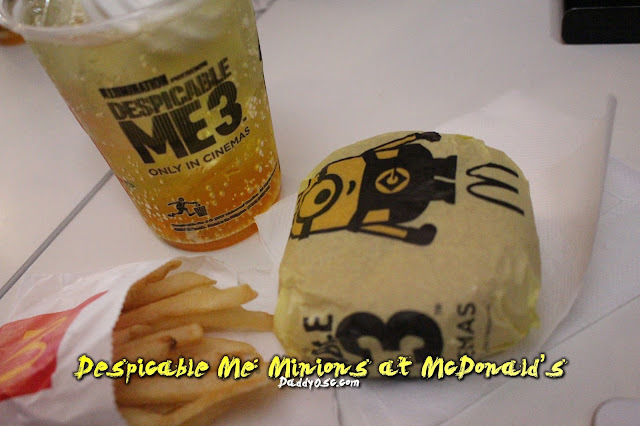 We're back at McDonald's Happy Meal and happy to announce that starting May 31, 2017, you can start collecting 10 of your favorites Despicable Me 3 characters at the nearest McDonald's stores near you. 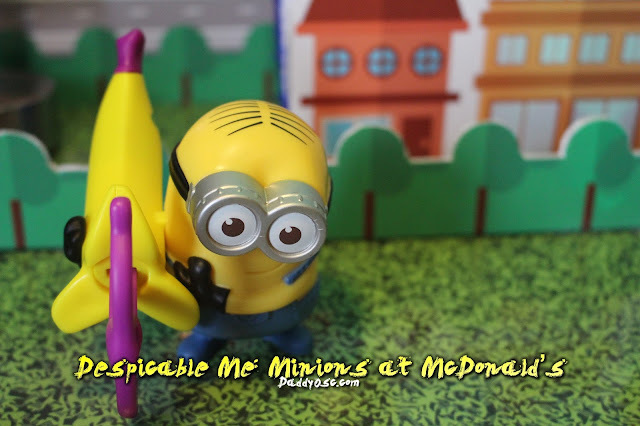 Watch this Minion shoot bananas with his launcher. 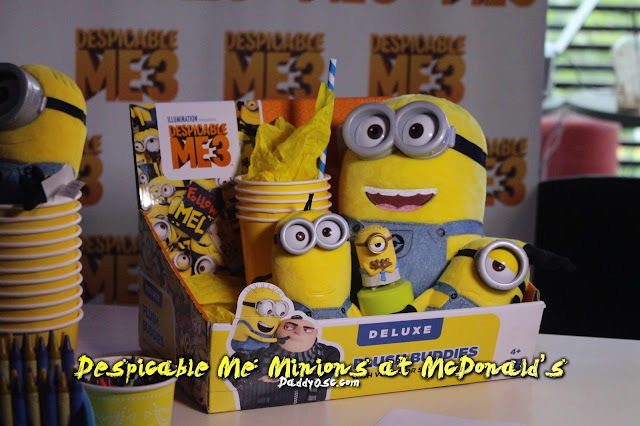 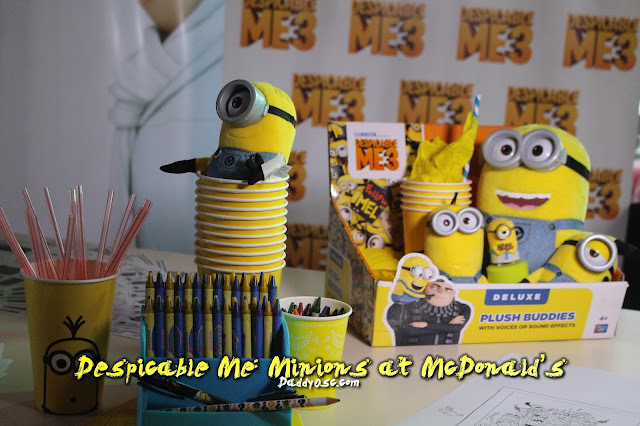 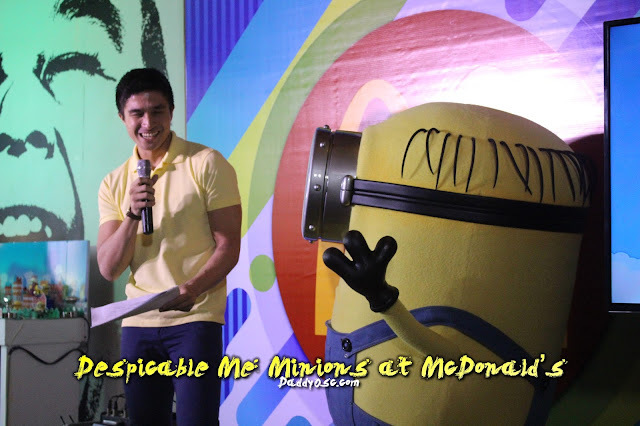 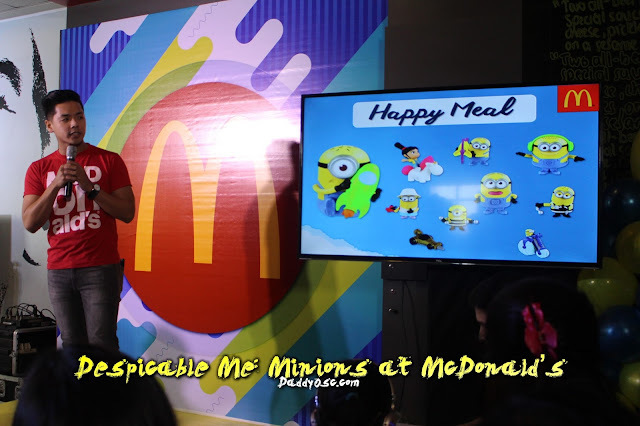 Despicable Me 3 Minions Happy Meal launch. 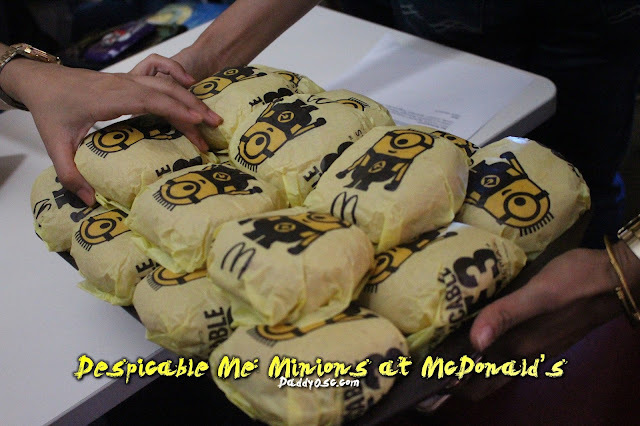 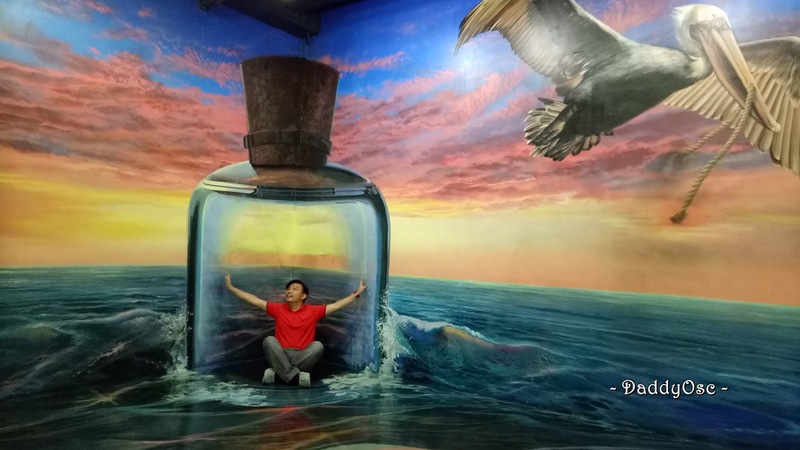 But, wait there's more. 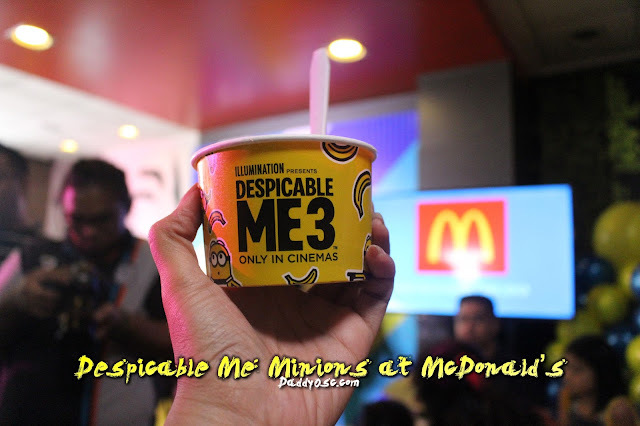 Enjoy the Despicable Me 3-themed menu items (plus the Instagram-worthy packaging), starring the Despicable Me Trio. 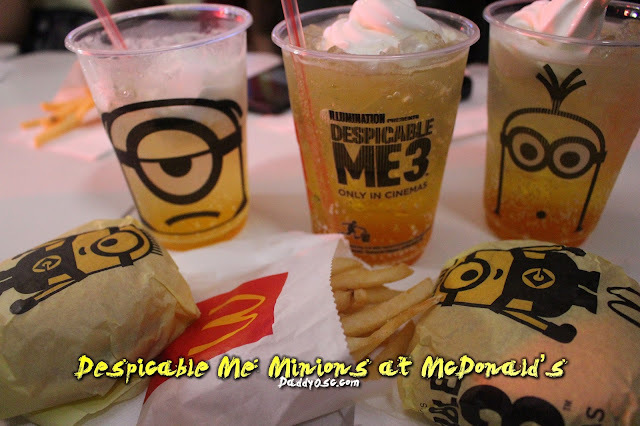 It features the NEW Cheesy Burger McDo—our beefy Burger McDo topped with a slice of creamy American cheese; the Honey Banana McFloat—a sweet Honey Banana flavored Sprite McFloat; and our World Famous Fries!